Researchers mostly ascribe contemporary natural disaster and the concomitant social crisis to anomalous climate change or global warming. However, whether such a relationship is still valid in long-term historical settings remains doubtful. In this study, data obtained from historical records about natural calamities (flood and drought) and their social impacts (famine, cannibalism, and war) at provincial and decadal scales during AD1–1910 are applied to mathematical statistics such as correlation and regression analysis as well as spatial visualization. Also, the role of population in the nexus of meteorological catastrophes and human miseries is investigated. Results show that at the provincial scale, generally there is high consistency among different variables and most of them are clustered in eastern part of China, especially in the north. More in-depth examinations indicate regional disparities that variables account for higher proportion in the south during the later imperial era, which may be attributed to the southward movement of population center. At the decadal scale, drought is the primary contributor to famine and cannibalism, while severe or even out-of-control famine i.e. cannibalism is more likely to incur war than ordinary famine per se. Besides, population growth rate exerts its positive effect on natural hazards and food crises, whereas more wars bring population loss and relieve population stress despite the weak negative association. 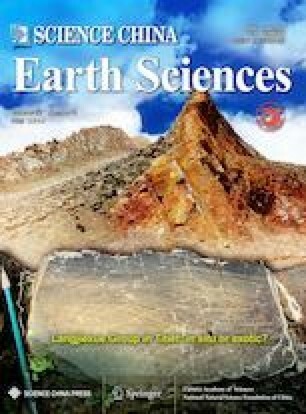 These findings supplement previous views and confirm that the distributions of disasters in ancient China are affected by population rather than climatic variability, which only determines the occurrence of disaster. Supplementary material is available for this article at https://doi.org/10.1007/s11430-018-9340-7 and is accessible for authorized users.